Tasnim – Iran’s Foreign Ministry spokesperson took a swipe at “deceitful” US officials for trying to misrepresent the reality about the new sanctions on Iran and claiming that the hostile embargoes are not targeting the Iranian nation. In an interview on Wednesday, Bahram Qassemi said many American authorities are suffering from ignorance, narcissism, and delusion, and resort to lies and deceptive measures to sanctify their hostile policies against the Iranian nation by claiming that the sanctions are in line with the interests of the Iranian people. Deploring recent comments by US State Department officials that American sanctions would not hurt the Iranian people and would only target the government, Qassemi said such claims are raised by either a professional liar or somebody pretending to be unaware of the realities. “I have no answer for such individual or individuals with such a level of unawareness, and I believe that silence on (comments by) these people would be the best thing to do,” the spokesman added. 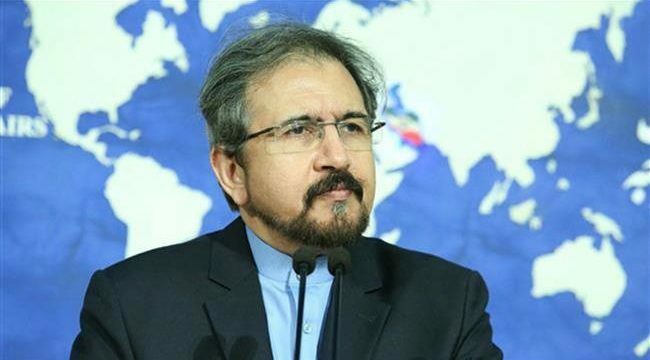 Elsewhere in his remarks, Bahram Qassemi said many US officials are used to making ill-advised and wrong comments about Iran, and resort to deception and delusive lies to glorify their hostile policies against the Iranian nation. He further pointed to the US government’s growing political isolation in the international community, saying American officials will have to act more wisely sooner or later, because the world would no more approve of such behavior and policies. US President Donald Trump has moved to snap back what he calls “crippling sanctions” on Iran that target the oil, banking and industrial sectors, and has threatened more action to change Tehran’s behavior. A fresh round of US sanctions against Iran came into force on November 4.